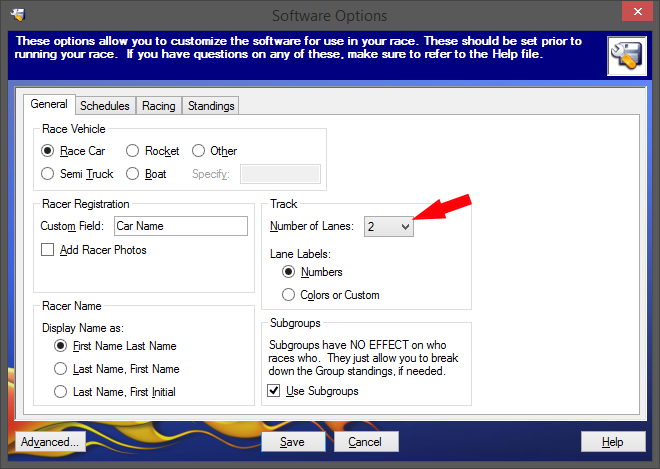 To setup the GPRT to work with GrandPrix Race Manager you will need to configure a custom serial timer. 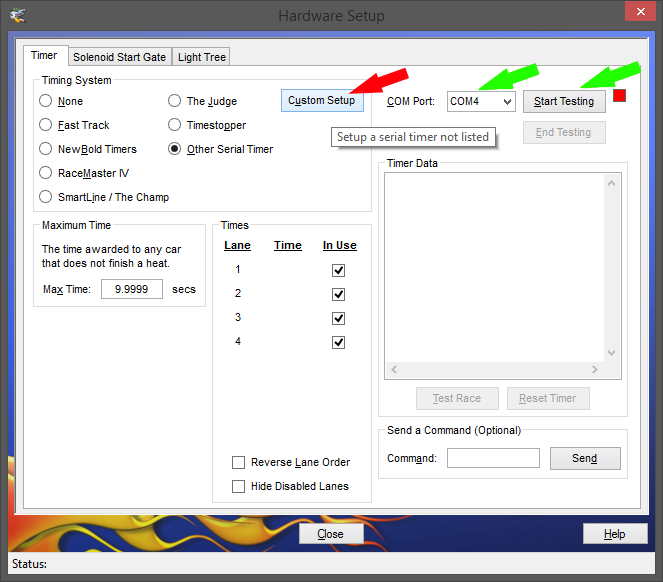 On the Hardware Setup you will need to select Custom Setup (Red Arrow). 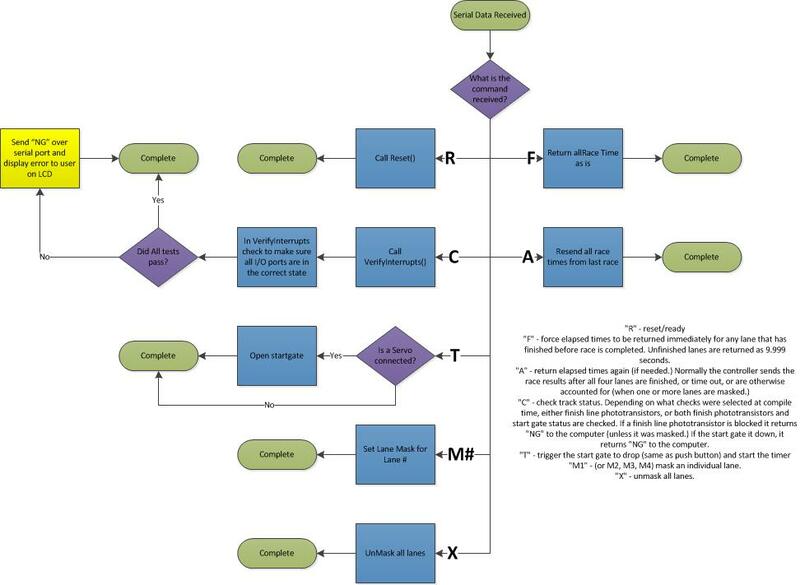 Once you save that and return to the Hardware Setup you need to select the Com port that your USB to Serial was assigned to and then click Test (greed arrows). That is it. If for some reason this is not working then check you Windows Device Manager to make sure that you have the correct com port. Also make sure you don’t have Putty or another tool with that port open or this software wont be able to connect. Good Luck! 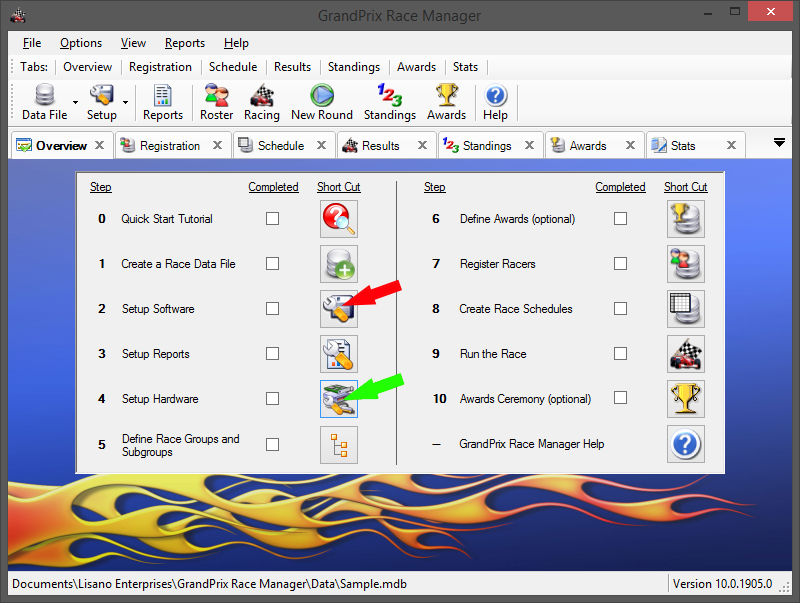 NOTE: This was written against version 10 of Grand Prix Race Manager. In Version 14 it appears they have made the Custom Serial Time a feature only available in the Pro Version.